Last month, the Kitely grid rolled out hypergrid delivery of content sold in the stores of its fast-growing Kitely Market. But some closed grids are getting in on the action as well. Zandramas, a closed commercial grid, has also enabled Kitely Market deliveries for its residents, said its technology services provider Zetamex in an announcement today. The grid did so without turning on full hypergrid connectivity, said Zetamex founder Timothy Rogers. 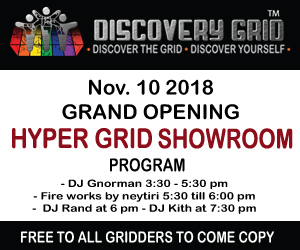 “This at the moment only allows deliveries from the Kitely marketplace — no one can leave or enter the grid through hypergrid,” he said in the announcement. “Now that Zandramas has tested the process, Zetamex will offer direct Kitely Market access for its closed grid and standalone clients,” he added. Zetamex and Zandramas didn’t need anything special from Kitely to make this work. According to Rogers, it is possible to allow content to arrive on a grid via hypergrid, without having to allow hypergrid teleports by avatars from other grids. For additional security, however, he has set up the OpenSim and firewall configuration so that not only foreign visitors are kept out, but also any content arriving from anywhere except the Kitely Market. Plus, as an additional level of security, only one region on the Zandramas grid is enabled for hypergrid delivery. “It’s not necessary, but if you want to be secure about it, that’s the way to go,” he said. Other grids might opt to enable hypergrid delivery to all their regions, he added. 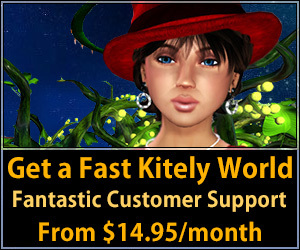 The downside of having only a single region — specifically, the Kitely Delivery region — enabled for the Kitely Market is that residents have to make sure that their avatars are on that region when they make their Kitely Market purchases. Other marketplaces have attempted to sell products to multiple grids, but the Kitely Market is the first one to have gained significant traction. 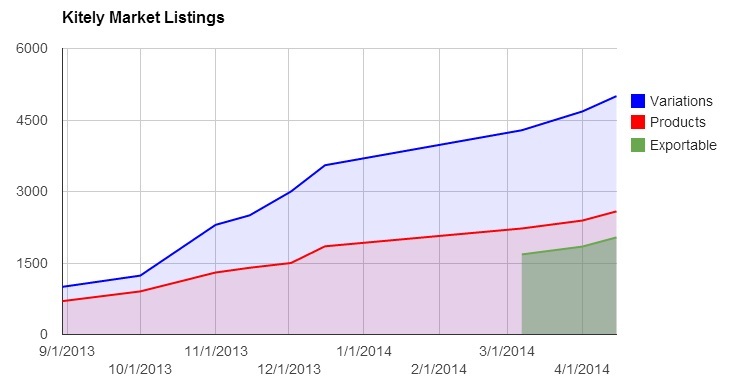 According to Kitely’s Tochner, the marketplace now has more than 2,580 product listings in more than 5,000 variations. Of these, 2,037 are exportable, meaning that the merchants have decided to enable delivery to foreign grids.